Chalet Chambertin’s summer renovations get underway! The first chalet in the Mountain Mavericks family, Chalet Chambertin is having a little facelift this summer. 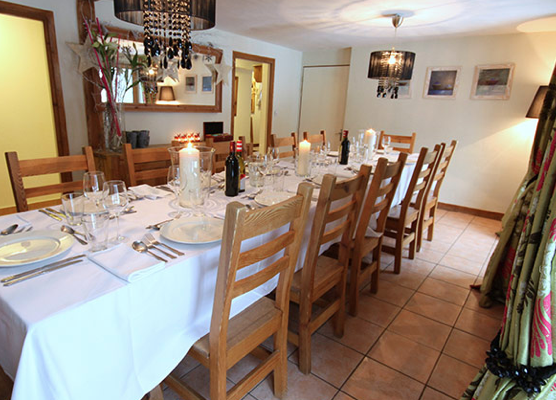 Ready for our lovely guests to come and see us in winter, Chalet Chambertin is actually undertaking more of a nip and a tuck than a facelift, and the end result will be an even more lavish chalet for you to cosy down in and rest for the next day! 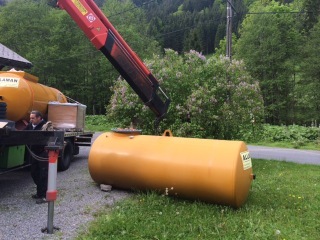 We already have a new oil tank which our instagram friends will have seen! It might not sound exciting but the difference is this lovely new orangey yellow tank will be outside and will not give off any whiffs when being filled! For those guests who have stayed with us before at Chalet Chambertin you will be pleased to know we will be opening up the back wall of the upstairs sitting room. The wall will be replaced by an all glass bi fold door to allow easy access onto the lovely terrace area to enjoy the sunshine! We want you to feel lovely and cosy in the evenings so we are putting a toasty wood burning stove into the second sitting room and taking out the old fireplace. Finally, the downstairs entrance area is being remodeled to create a new ski and snowboard storage room, a new boot room and a large area to get your boots on, with plenty of comfy places to sit and contemplate the task at hand! To shed some light on the situation we are having new windows installed to open up the area and make it lovely and light and bright! 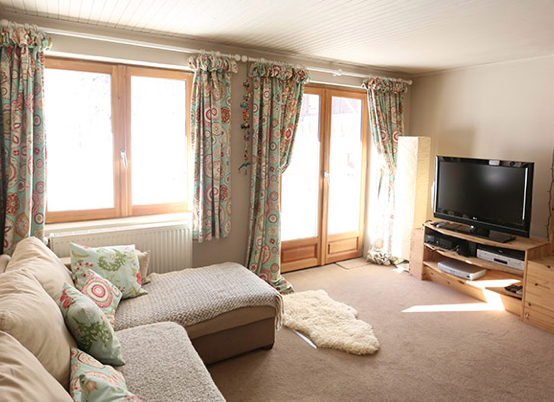 If you want to take advantage of the newly refubished and remodeled Chalet Chambertin then please do get in touch to find out availability for winter 2014/15! Previous: Come and Enjoy Summer on the L’aubergade terrace!